Recently, Xiaomi launched the world’s first smartphone powered by the Snapdragon 710 chipset, the Xiaomi Mi 8 SE. Now, we are sure that a lot of phones are going to launch soon with the same chipset. In fact, it is reported that Google is also working on a mid-range Pixel (codenamed ‘Bonito’) with the same processor that is expected to launch in early 2019. Roland Quandt, a reputed tipster, has revealed that Nokia is launching a Snapdragon 710-powered smartphone this year and the phone is expected to arrive in the Autumn. The IFA is set to happen in September, and it is the world’s leading trade show for consumer electronics and home appliances. So, we are expecting that Nokia will launch its next mid-range smartphone with the Snapdragon 710 at the IFA Berlin. 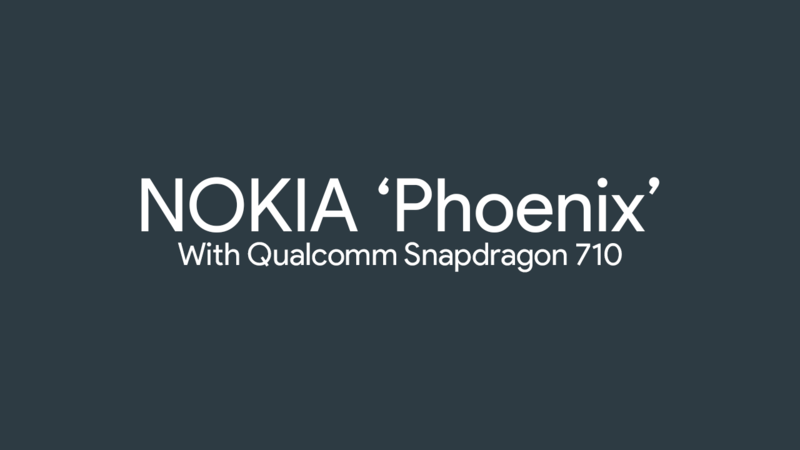 Codenamed ‘Phoenix,’ we don’t know what the company is going to call this device but looking at the current naming system, it could be the successor to the Nokia 7 Plus. The Qualcomm Snapdragon 710 launched in May and it is a very capable chipset manufactured by the 10nm process and featuring the powerful Kryo 360 CPUs which result in 20% faster performance, 25% faster web browsing, and 15% faster app launch times as compared to the Snapdragon 660. You can check out our detailed article on the Snapdragon 710 to know more about this processor. It will be better if we don’t see a notched design. What are your expectations for this upcoming mid-range phone from Nokia? Do let us know via the comments section.